I will admit it. I totally shed a single tear at the end of Furious 7. Is this the best entry in the unlikeliest of all blockbuster franchises? No way. Not by a long shot. Fast Five is still the best single film in the franchise in terms of quality storytelling and character work. At the same time, Furious 6 is definitely the most entertaining movie overall, due mostly to a healthy dose of the The Rock playing an ally as opposed to an enemy. Also, The Battle On The Infinite Runway at the end is the best action sequence of this or most any other franchise. But what Furious 7 lacks in sharp storytelling or non-stop action, it makes up for with steady entertainment value and an emotionally devastating coda. This franchise has been incredibly nimble, striving to redefine itself with each entry. The latter half of the series has effortlessly transitioned from cops & robbers to a heist flick to a comic book story and now, with part seven, we are solidly in globe-trotting secret agent mode. Amazingly, this feels like the franchise's destiny all along, particularly with the always great Kurt Russell playing the team's jovial yet badass handler. The story feels a bit half-baked ("Let's give them a MacGuffin to chase and be done with it.") but each component of the story works fine on its own. The entire mountain chase scene, featuring cars parachuting out of a cargo plane, is an absolute franchise all-timer. Seriously, it's incredible. But it happens pretty early on in the proceedings and none of the set pieces that follow ever really surpass that scene in terms of action or pure excitement. Dom and Brian driving a rare and expensive sports car mid-air across three different skyscrapers in Abu Dhabi does come pretty close though. I was really looking forward to Jason Statham stepping in and lending some real weight and menace to the villain role, something a lot of these movies tend to lack. And while Statham's silent force-of-nature routine is pretty effective, it somehow pales in comparison to Luke Evans' turn as the younger Shaw brother, mostly because his impassive "Everyone is a cog in my machine" approach feels like a more direct counter point to Dominic Torretto and his fierce family loyalty. Also, the revelation in the opening scene that Evans somehow managed to survive the last film really deflates Statham's need for vengeance. But all of these issues (along with a Michelle Rodriguez subplot that falls flat and a significant squandering of Djimon Hounsou) feel totally minor and didn't really start to bother me until long after I'd left the theater. For most of the film's running time I was having WAY too much fun to get bogged down by any of this stuff. And by the final scene, I guarantee that you just won't care. Credit must be paid to director James Wan (who brings his own visual flourishes without alienating the film from the rest of the series) and writer Chris Morgan for pulling off the impossible in the wake of Paul Walker's death. It would appear that Walker had already finished filming the vast majority of his scenes before his passing and most of the body doubling/digital face-swapping absolutely works on screen. That's not to say you don't notice it, but it still feels mostly organic to the story and the effects work is not so jarring as to grind the movie to a halt. And that final scene...man that final scene. It's just a killer. We ended up taking an accidental two month hiatus from podcasting but the snow has melted and we're officially back in business. 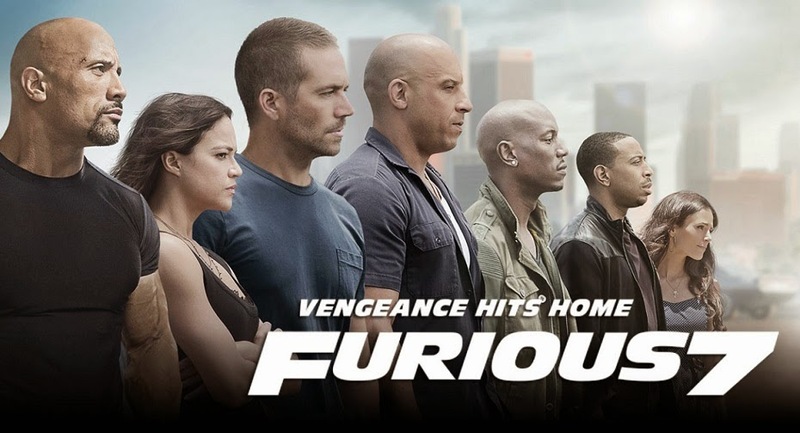 For our first episode after the break we've got a great five-person round table of returning guests, all of whom have varying levels of affection for the Fast & Furious franchise as a whole. Also, at different points we inadvertently confuse Jason Statham with Jason Segal and Eugene Levy with Elliott Gould. True story. As always, make sure to subscribe on iTunes and/or SoundCloud!